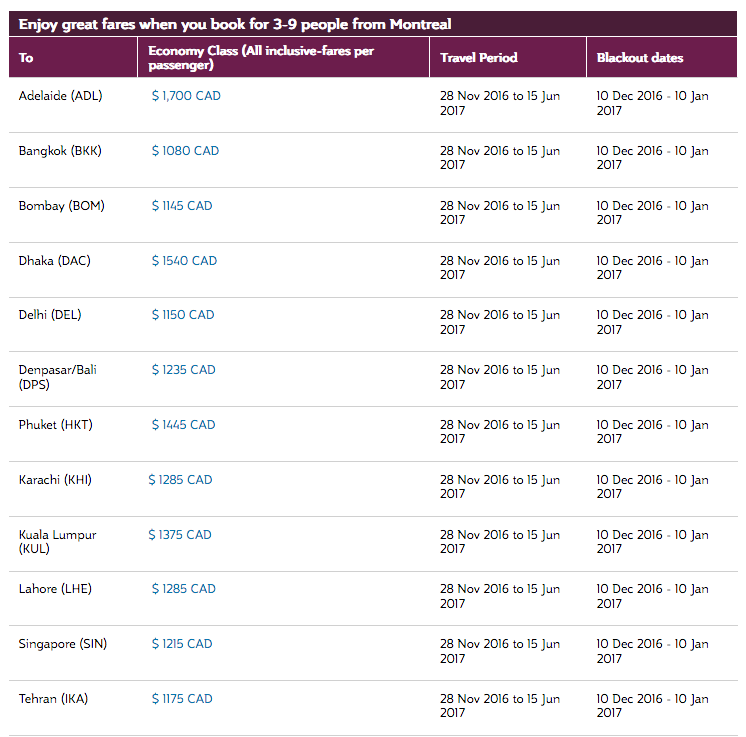 Qatar Airways latest global promotion is promoting travel for family and friends by discounting flights when you book for 3 or more people on one reservation. Also included in the offer are Double QMiles for this promotion (each member must log in and register by Dec 5) Find out more and book this deal here. Sale period: 28 November until 5 December 2016. Travel period: 28 November 2016 – 15 June 2017. All travel must be completed by 30 June 2016. Blackout dates (when travel not allowed): 15 December 2016 - 10 January 2017.